The life changing programme, Football Fans in Training is back at Stenhousemuir Football Club next week and you can sign up for FREE now!!! 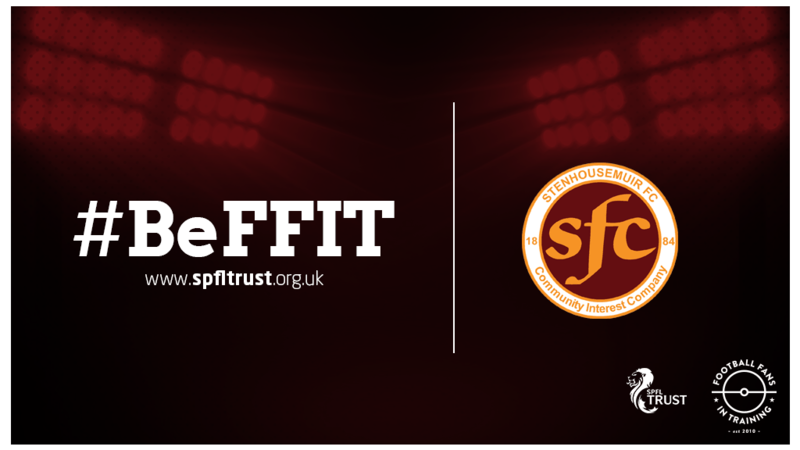 The SPFL Trust’s course runs for 13 weeks and differs to the normal “weight loss” programmes out there, offering advice and practical ways to make changes to your lifestyle, all whilst going behind the scenes here at Stenhousemuir Football Club. If you are a man aged between 35 – 65 with a waist size of 38 inches or more, FFIT may be just the ticket to help you kick off a healthier lifestyle. Every 90 minute session contains a different topic, which includes managing your alcohol consumption, understanding food labels and balancing your diet. There is also a physical component to each session. This can be a gentle walk, a circuit session with our trained coaching staff or a game of football. FFIT is open to those who enjoy football or those who just want make changes to their health.